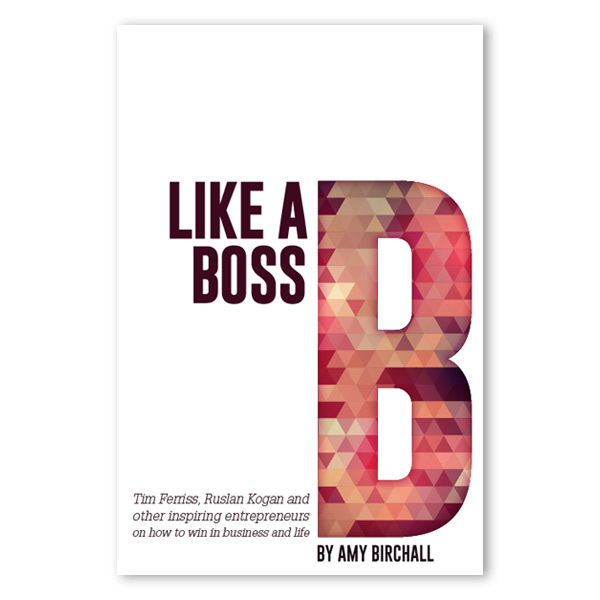 Execution: The main focal point of the cover is the “B” for Boss, featuring a geometric repeating pattern, which is based on the logo I designed for Amy Birchall previously. The red hues lend themselves well to the bold nature of the cover design, and a strong typeface was chosen to complement the ample white space. A slab-serif typeface was used in the byline to contrast with the sans-serif title.